Updated edition of one of the most highly respected resources on juvenile diabetes, from the Diabetes Team at the world-renowned Hospital for Sick Children. For the parents and caregivers of over 15,000 children diagnosed with diabetes every year, the key to successful diabetes management is to learn as much as possible about juvenile diabetes. Armed with this knowledge, they will be able to improve quality of life for both their children and themselves. This new edition offers the latest medical expertise, based on current research and standards for diagnosis, and features an even more user-friendly format, case studies, charts and Q&A sections. 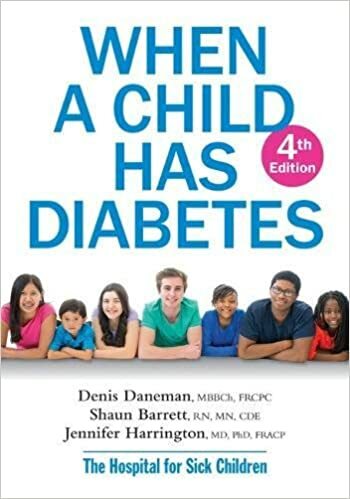 A must-have for anyone caring for a child with diabetes, When a Child Has Diabetes covers the causes of diabetes, current and evolving treatments, blood glucose management, meal planning, associated conditions, strategies for adjustment and much more. With its friendly, approachable style, this comprehensive and supportive guide will help parents and children learn the hands-on skills needed for at-home diabetes care so they can all live happy, healthy lives. I received a complimentary copy. Cassandra's Review- The book is great and covers topics with Q&A. It also features facts that will help guide and and your child to a better way to help as well as understand diabetes.